Couples in love are the protagonists of the tens of weddings performed on Antiparos every year. Love is one of life’s mysteries, marriage an ecclesiastical sacrament [‘mystery’, in Greek], and our charmingly mysterious island offers the perfect setting for the start of a new family. The churches are linked to the history of the area, and that is why they tie in with it so harmoniously, adorning the rough rocks, the hillsides, the villages, the shores. All of the approximately 50 (fifty) little churches and chapels located on the island are in operation, as the Orthodox tradition remains intact among Antipariots. Throughout the year, these churches and chapels are cared for by resident families, the Municipality of Antiparos and the Orthodox Church, of course. Up to 1930, the wedding, celebration and ‘crowning’ in holy matrimony would take place in the home of the bride. Before the wedding, the dowry would have to have been agreed upon and ‘signed over’. A necessary prerequisite was that the bride have a house. Many prospective marriages unravelled over a couple of grapevine roots! The close relatives would gather on Saturday evening, each bringing along whatever he or she had—bread, pasta, meat—and they would all eat together. They would use the milk to make rice pudding, and treat everyone after dinner. Another treat was a sweet grape spoon dessert. On Sunday, there would be two dinners—one at midday and one in the evening—and the ‘crowning’ [engagement with two wedding wreaths] would take place in the afternoon. On Monday morning they would ‘get the bride up out of bed’. Everyone who was invited, along with fiddlers, would go outside the door of the ‘newlyweds’. They would sing plain songs and satirical songs. Dinner would follow. After eight days—the following Saturday, that is—the ‘Antigamos’ feast would take place, this too with fiddlers and a celebration. On Sunday morning the groom and the bride would go to church. Afterwards, they would call the priest over to their home, he would bless the wreaths, and these would then be placed in the wreath case. After 1930, wedding celebrations started taking place at ‘kafeneia’ [traditional coffee houses], with more people being invited. A week before the wedding, the mothers-in-law would go out with ‘kanestres’ [large straw baskets] or would go to the homes of relatives and gather plates, cutlery and tablecloths, which they would return after the wedding. Relatives would offer whatever food they had. A dinner and a big celebration would be held on Saturday evening. to give your blessing to the husband-and-wife-to-be. that the husband-and-wife-to-be live a thousand years. In the end, they would they would toss rice, ‘koufeta’, money and a baby—usually a boy—onto the bed. At midday, there would be another dinner, with goat—roasted in tomato sauce—and spaghetti served. The ‘wreathing’ would take place at four in the afternoon, accompanied by a lot of ‘smbara’ [rifle shots fired into the air]. In the end, everyone invited would greet the newlyweds and place money on a tray. This was the so-called ‘ferta’ [financial contribution]. The bridal dance would follow at the ‘kafeneio’. They would treat everyone ‘kourabiedes’ [almond shortbread cookies covered in icing sugar], ‘tsikoudia’ [a type of raki] and three ‘koufeta’ apiece. One at a time, each of the guests—beginning with the closest relatives—would dance with the bride and give money to the fiddlers and the band. After this, the men would take the fiddlers and the band and roam around the streets of the village, dancing, treating people in their homes and at the ‘kafeneia’, until the tables were laid for the evening dinner. The food was always tomato soup made from goat, cooked in big cauldrons over a wood fire. On Monday morning, they would get the couple up out of bed with songs, dance, little mezedes and tsikoudia. In the afternoon, they would take the fiddlers and band around to the homes of the invited guests, and would dance and sing.  Women’s Society of Antiparos (pub. 2010), Maerotskalismata: Tastes and Aromas from Antiparos, pp 37-39. Those interested in having a Greek Orthodox marriage ceremony should contact Protopresbyter [archpriest] Father Dimitrios Kydonieus. The sacrament may be performed at any of the chapels on the island, upon arrangement with Father Kydonieus. 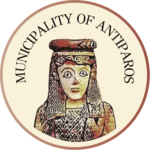 Those interested in a civil ceremony should contact the Municipality of Antiparos, tel 22840 61570 or 22840 28261.